WaveArts is now offering a boxed version of Power Suite, which contains : TrackPlug (all-in-one 10 band EQ/compressor/gate), MasterVerb (silky smooth reverb), WaveSurround (stereo spatial enhancement), MultiDynamics (up to 6 bands of dynamics processing) and FinalPlug (mastering limiter/volume maximizer). 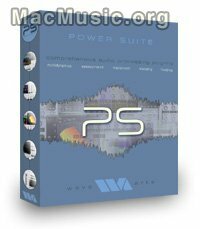 From now until April 30th, you can buy Power Suite at a $100 discount from WaveArts website, for a total of $399.95. A free 30-day demo version is also available.